The northern route of the AWPR at Balmedie connecting with the A90. A bus firm has been forced to postpone the roll-out of a new service connected to the Aberdeen bypass due to uncertainty over when the road will finally open. Stagecoach had planned to launch a new 747 service next month, which would link Peterhead, Cruden Bay, Ellon, Kingswells, Stonehaven and Montrose to Aberdeen International Airport using the AWPR. The company has now confirmed that it will not be able to launch it on Monday November 19, as planned. An update on the firm’s website said the new route had received a lot of support from customers eager to gain easier access to the airport. But it said that the launch would be held off “due to the delayed opening of the AWPR”. West Aberdeenshire and Kincardine MP Andrew Bowie bemoaned the lack of clarity surrounding the completion date of the £745million bypass. He said: “This new 747 route will greatly benefit my constituents, providing a quick route from Stonehaven to Aberdeen International Airport and to workplaces like those in the Prime Four business park in Kingswells. “It is disappointing that the launch has had to be shelved due to delays to the completion of the AWPR. Stagecoach will continue to operate services 107 and 747 to their current timetable until the opening date of the AWPR is confirmed. 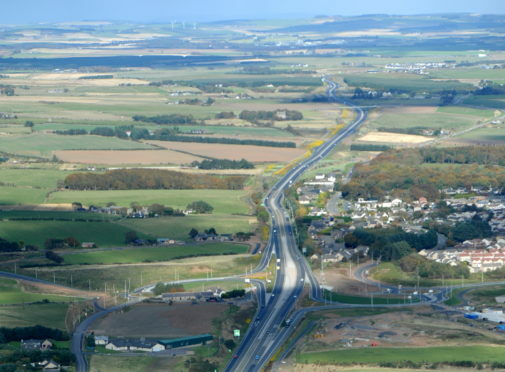 Amid increasing frustration, ministers last week demanded that the main 19.6-mile length of the road between Craibstone to Stonehaven open “as soon as possible”. Transport Secretary Michael Matheson insists that contractors remained “on target” for completion of the entire dual carriageway by the “late autumn”. Last week he called upon Transport Scotland chiefs to investigate whether they can open a large section of the AWPR in the coming weeks in advance of a full opening. A Transport Scotland spokesman said yesterday: “We have been making it clear for some time that the contractor has not been able to provide an exact date for the AWPR to open until remedial work at the Don has concluded. “In the meantime, we have been urging them to conclude their deliberations on the opening of the 31.5km (19.5 mile) section of new road from Craibstone to Stonehaven and Charleston as soon as possible. “A proposal is still being discussed within their organisations. “This is a commercial matter for the contractor but we continue to work closely with them to allow the people of the north east to enjoy the benefits of the new road as soon as possible.